At 1.2 to 1.3 million annual visitors, Kauai is the fourth most visited island and fourth largest landmass in the Hawaiian Island chain. You will be amazed to find the number of euphoric views it holds. This island perfectly harmonizes a laid-back, yet exhilarating escapade. Kauai is full of uncrowded beaches all around the island so it works in your favor as THE place to get away. With its countless lush mountains and valleys, it’s no wonder all our favorites were filmed here ( Jurassic Park, Avatar, King Kong, etc.)! Top recommended waterfalls to visit are Wailua Falls and Opaekaa Falls located just a few steps from the parking lot so there’s no excuse to not make it out there! 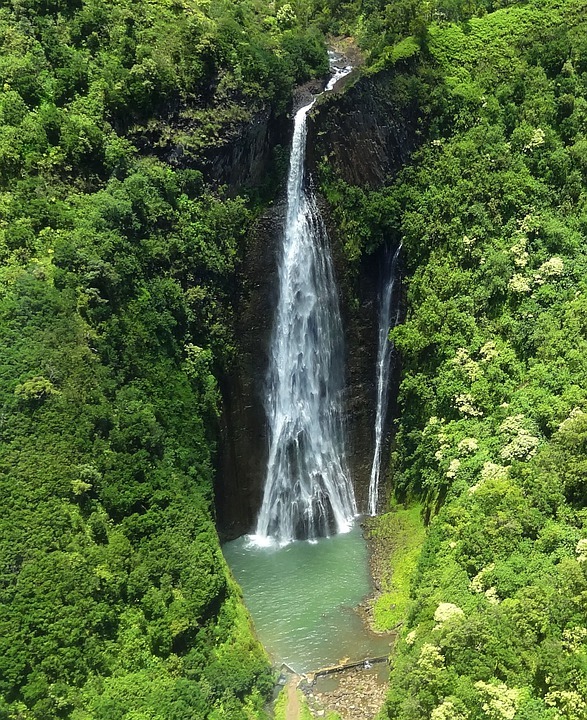 Some of the waterfalls that require some legit hiking are Hanakapiai Falls and Hanakoa falls, but don’t let it scare you! Seeing the remote waterfall of everyone’s dreams is something you can brag about all the way home. For the more city inspired, the north shore Kauai area has a vast selection of shopping and dining available for visitors and tourists. Hanalei Bay is a popular spot for water activities and has perhaps what are the best beaches in all of Hawaii if you choose to lay out instead. Places like Poipu and Lawai also offer plenty of choices for fine dining and shopping. Rain is often expected during the winter months yet it’s still one of the most popular places on the island. The south shore, however, provides sunshine even during the wet winter season. Overall, Kauai is a spot deserving to be on every traveler’s list with its strong spiritual energy and jaw-dropping views. You won’t want to miss out.